Enforced disappearance of Ebrima Solo Sandeng and other supporters of the UDP, in violation of Article 7(1)(i). Mr. David Colley, Director of Prisons has withheld medication from UDP party leader Ousainou Darboe and other detainees. This is a violation of Article 7(1)(k) which prohibits inhumane acts intentionally committed to cause great suffering, or serious injury to body or to mental or physical health. Article 13(c) provides that the International Criminal Court may exercise its jurisdiction if the Prosecutor has initiated an investigation in respect of such crimes. The UDP Diaspora Organisation further petitions that, upon completion of an expedited preliminary examination, the ICC chief Prosecutor should initiate an investigation, pursuant to Article 53, on the basis that the crimes committed are within the jurisdiction of the court. 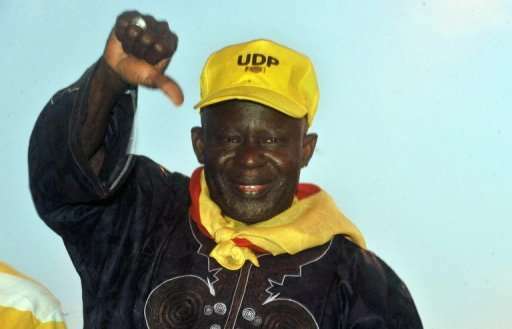 Meanwhile, it would be recalled that the Opposition Leader, Ousainou Darboe, and other leading members of his party are currently being held under gruelling conditions at the Mile Two prison facility in Banjul, and have been charged with seven trumped up charges of indictment and rioting just for a peaceful protest. A total of over one Hundred peaceful protesters including Lawyer Darboe were arrested by the security forces and detained. It is widely known that the ICC Chief Prosecutor Ms. Fatou Bensouda has established a practice of issuing warnings to governments and political parties to refrain from violence prior to and during elections. The practice is in fulfilment of the Chief Prosecutor’s legal, ethical and moral obligations to prevent crimes against humanity. The Prosecutor is on record warning government and political leaders in Nigeria, Guinea, Burundi and other countries that she would prosecute individuals who engage in election violence. 2. 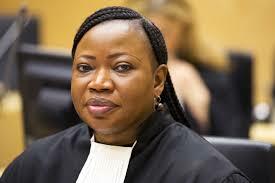 On March 16, 2015, the Chief Prosecutor repeated her warning to the Nigerian leaders and reminded them that any person who contributes to the commission of ICC crimes is liable to prosecution. 3. On July 4, 2015, the ICC Prosecutor stated that part of the reason for her visit to Guinea was related to her office’s preventive mandate. She stated that “it is absolutely crucial to prevent crimes from occurring,” the petition concludes.